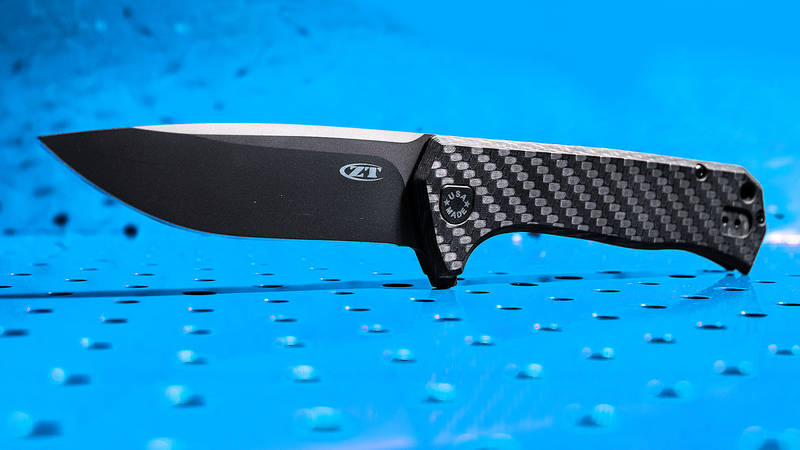 ZT and Todd Rexford have teamed up to create another winner in the 0804CF, based on Todd's custom Gamma flipper. It's a knife built for the hardest jobs in the most demanding places with a sleek style that is simply put...gorgeous. The nearly four-inch blade is made of fine-grained CTS-204P, a tough, wear and corrosion resistant steel ready for hard-duty. 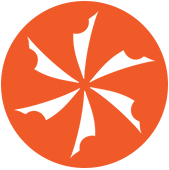 This powdered metallurgy steel features vanadium-rich carbides for top wear resistance while high chromium helps it resist corrosion. 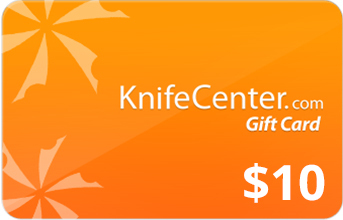 This high-performance blade is tungsten DLC coated. DLC gives the blade an attractive, matte finish as well as enhancing performance by reducing friction and improving hardness. 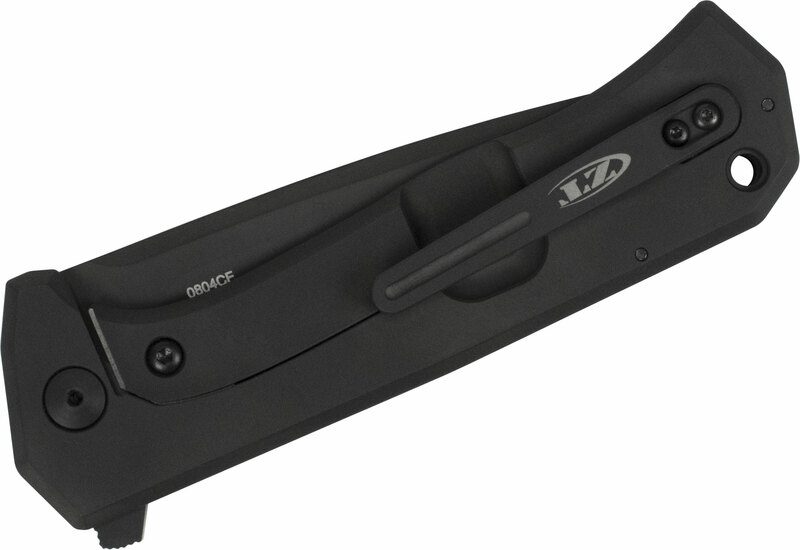 The 0804CF's handle has a carbon-fiber front and a DLC-coated titanium back. 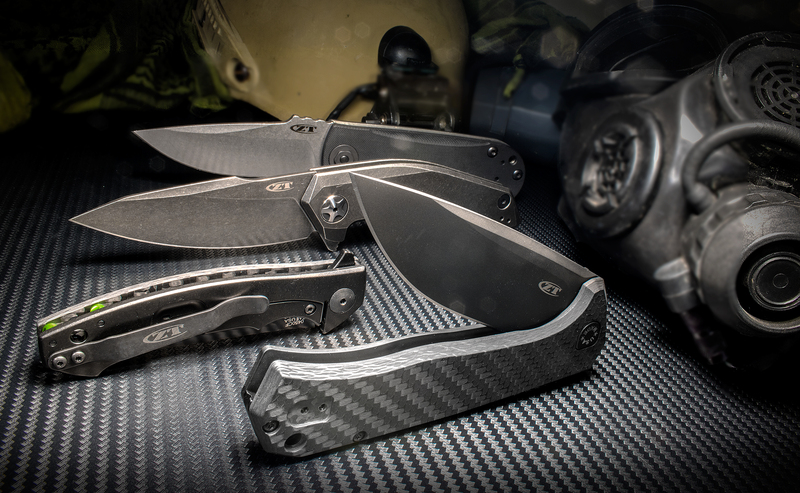 These premium materials make the 0804CF both tough and lightweight. A titanium frame lock with hardened steel lockbar insert firmly secures the blade during use. The ambidextrous 0804 can be easily opened using the flipper and KVT ball-bearing system. The 0804CF proudly declares its made-in-the-USA status with a handsome shield-shaped badge on the pivot head. ZT also added a custom aluminum backspacer and machined titanium pocketclip. 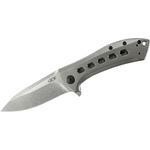 The 0804CF, from ZT and Todd Rexford, is a perfect fit when looking for a larger knife built for high performance. 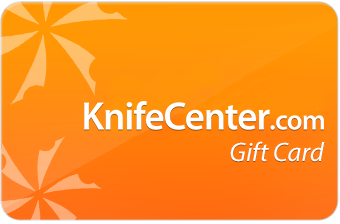 Hey, I wanted to share "Zero Tolerance Todd Rexford 0804CF Flipper 3.9 inch CTS-204P Black Blade, Carbon Fiber and Titanium Handles" with you from KnifeCenter.